Leszek Rutkowski received the M.Sc. and Ph.D. degrees in 1977 and 1980, respectively, both from the Technical University of Wroclaw, Poland. Since 1980, he has been with the Technical University of Czestochowa where he is currently a Professor and Chairman of the Computer Engineering Department. From 1987 to 1990 he held a visiting position in the School of Electrical and Computer Engineering at Oklahoma State University. His research interests include neural networks, fuzzy systems, computational intelligence, pattern classification and expert systems. In May and July 2004 he presented in the IEEE Transaction on Neural Networks a new class of probabilistic neural networks and generalized regression neural networks working in a time-varying environment. He published over 170 technical papers including 20 in various series of IEEE Transactions. He is the author of the books Computational Intelligence published by Springer (2008), New Soft Computing Techniques For System Modeling, Pattern Classification and Image Processing published by Springer (2004), Flexible Neuro-Fuzzy Systems published by Kluwer Academic Publishers (2004), Methods and Techniques of Artificial Intelligence (2005, in Polish), Adaptive Filters and Adaptive Signal Processing (1994, in Polish), and co-author of two others (1997 and 2000, in Polish) Neural Networks, Genetic Algorithms and Fuzzy Systems and Neural Networks for Image Compression. Prof. Leszek Rutkowski is President and Founder of the Polish Neural Networks Society. He organized and served as a General Chair of the International Conferences on Artificial Intelligence and Soft Computing held in 1996, 1997, 1999, 2000, 2002, 2004, 2006, 2008 and 2010. Prof. Leszek Rutkowski is past Associate Editor of the IEEE Transactions on Neural Networks (1998-2005) and IEEE Systems Journal (2007-2010). He is Editor-in-Chief of Journal of Artificial Intelligence and Soft Computing Research and he is on the editorial board of the International Journal of Applied Mathematics and Computer Science (1996-present) and International Journal of Biometric (2008-present). Dr. Leszek Rutkowski was awarded by the IEEE Fellow Membership Grade for contributions to neurocomputing and flexible fuzzy systems. He is a recipient of the IEEE Transactions on Neural Networks 2005 Outstanding Paper Award. 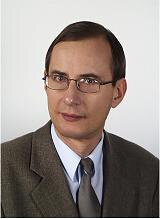 Dr. Leszek Rutkowski served in the IEEE Computational Intelligence Society as the Chair of the Distinguished Lecturer Program (2008-2009) and the Chair of the Standards Committee. He is the Founding Chair of the Polish Chapter of the IEEE Computational Intelligence Society which won 2008 Outstanding Chapter Award. In 2004 he was elected as a member of the Polish Academy of Sciences.